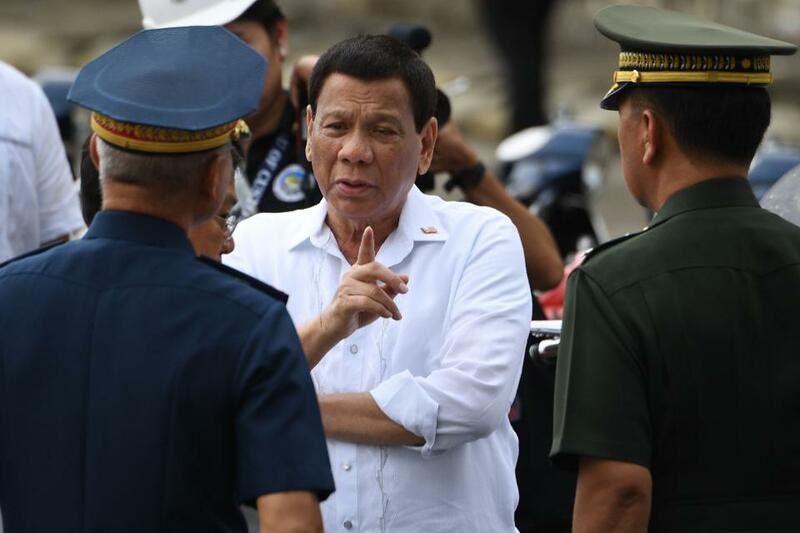 President Rodrigo Duterte’s cruel tactics against drug traffic may have terrified some in the Philippines. But Filipinos feel safer nowadays than they felt back in 2014, walking alone at night in the streets. And that’s well above the average score for East Asia, which stands at 72. 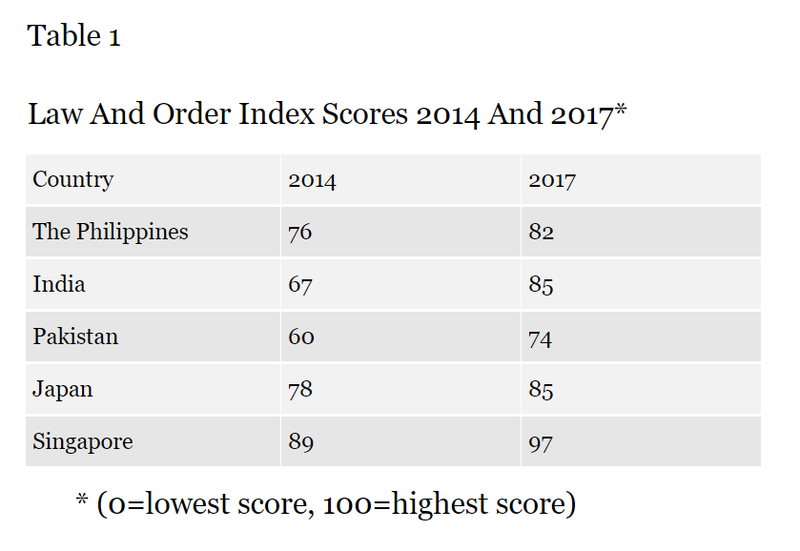 Philippines’ rising Global Law and Order score confirms that Duterte’s campaign to drug traffic from it city streets is working. But it comes at a dire cost of 12,000+ lives -- mostly innocent lives, according Human Rights Watch. 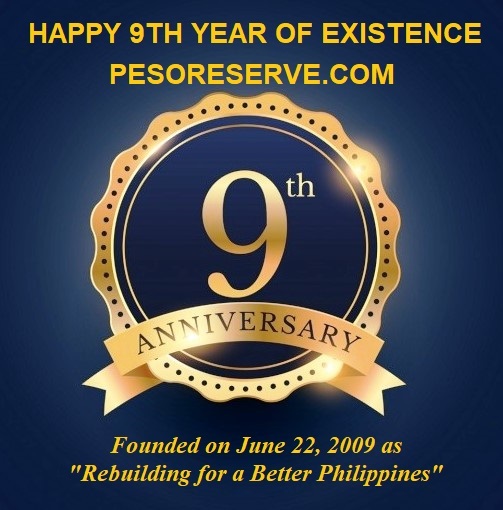 A high growth, in turn, has made Filipinos feel better off today than a couple of years ago. That's according to another Gallup survey, which finds that 28% of Filipinos consider themselves thriving in 2017 compared to 26% in 2016, pushing the Philippines up a notch in the ranking of the Asia-Pacific countries--Table 2. 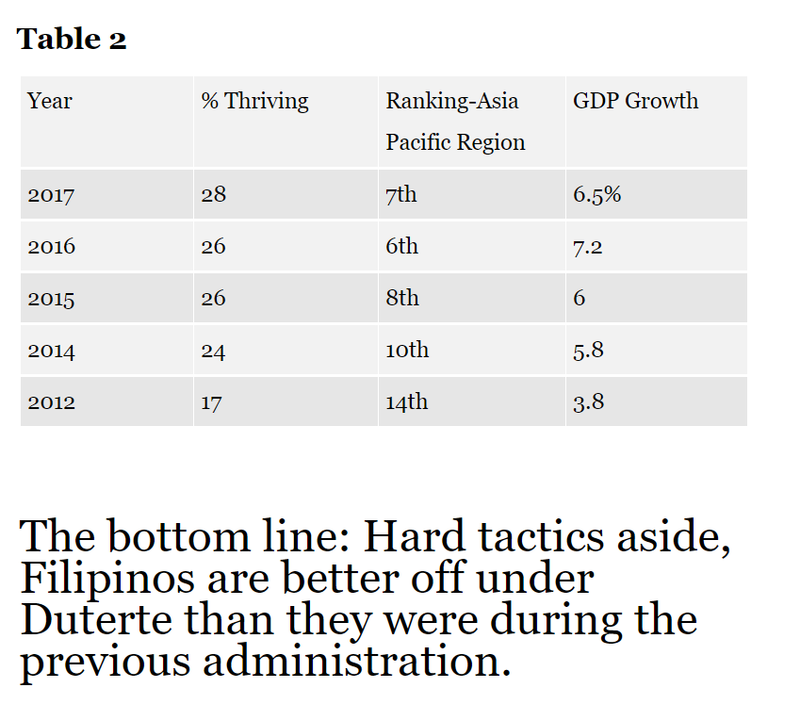 The bottom line: Hard tactics aside, Filipinos are better off under Duterte than they were during the previous administration. 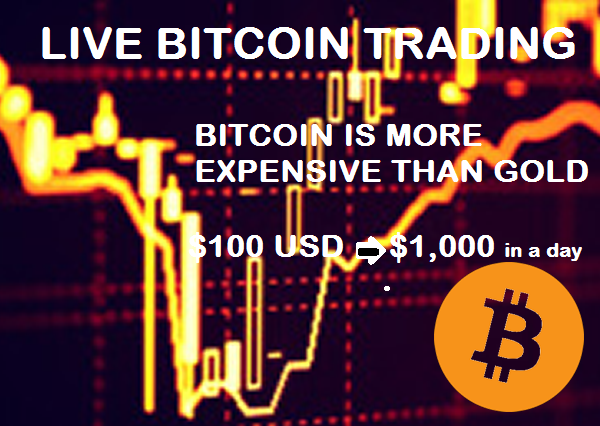 According to FORBES.